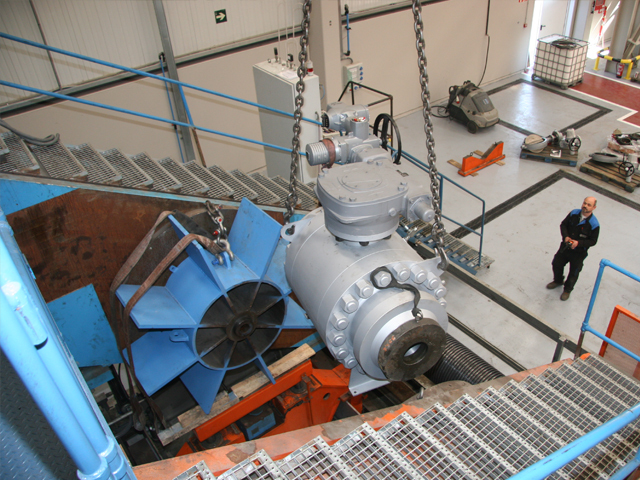 Ball valves has clear advantages over other types of valves when regarding its easy and quick handling, and minimum pressure drop -almost the same as the equivalent to the length of the pipe in the full bore valves- and equivalent to a reduction Ventury type in those of a reduced bore. 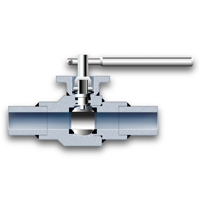 Nowadays, with the fast development of materials, the range of temperatures in which a ball valve can be operated has become similar to other type of valve. 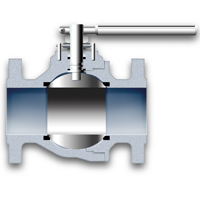 Babcock Valves developed ball valves with graphite seats and a metal holder and spring washers of inconel, that keep its elastic properties at temperatures of even 1000º F.
The pressure that pushes the ball when the valve is closed affects the seats which suffer a crushing limited by the load of the used plastic. The development of floating seats has completely eliminated the problem, causing the pressure push to be directed onto the guided sleeves of the axles, and designing a system with balanced pressure on seats that minimizes its effect and allows us to get design pressures included in the range of 2500 lbs class. 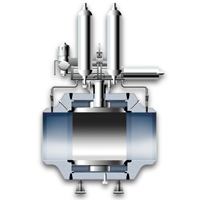 Besides the graphite performance to temperature, it has the property of being inert to many corrosive fluids. 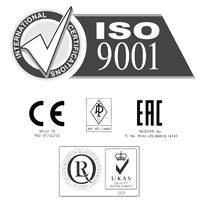 In temperatures that does not exceed 500ºF, elastic materials used in seats and gaskets can be PTFE, NYLON, KYNAR, KEL-F, DEVLON, etc. 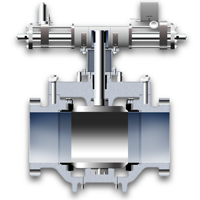 placing the most suitable according to the fluid conditions across the valve. 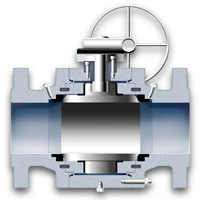 Apart from those indicated, the valve can be made of a combination of materials more suitable for the service to be performed.